Listen up , guys, and look at this blog's mission statement up in the upper left-hand corner. What does it say? "A place for boys to find terrific books and tell other boys about great reading." Got that? Well, I recently finished one of the most terrific reads of this year or for the last couple of years, for that matter. It was the second book in the unbelievably good, exciting and utterly absorbing Copernicus Legacy series by the terrifically talented Tony Abbott. Which book was it? The Serpent's Curse. Wow. What a great time I had reading this book! "Wade Kaplan's father, astronomer Roald Kaplan, gets a mysterious message from Uncle Henry in Germany. When the family goes to investigate, they find Uncle Henry murdered! Then they find out that they are involved in something they couldn't have imagined--a world -wide search for hidden artifacts that could determine the destiny of the world. They learn that famous scientist Nicholas Copernicus invented a time-traveling device 400 years ago but the thoroughly evil Teutonic Order of Knights tried to get hold of it. 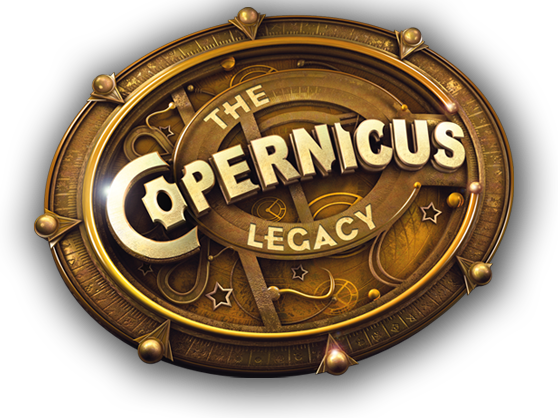 To stop them, Copernicus dismantled the device and gave the twelve key components to Guardians to hide around the world. Wade and family and friends must travel the world to solve puzzles and clues to find the relics before the Order does." So, at the beginning of this book, we find out that Wade's mom, Sara, has been kidnapped by the tremendously evil Galina Krausse, head of the Teutonic Order. 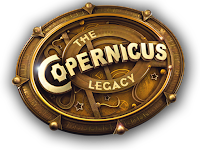 It turns out that the Order created their own time machine and Galina wants to send the Sara back in time to spy on Copernicus! So not only do the Kaplans have to find Serpens, the next Relic, but they have to rescue Sara before she's sent on a one-way trip back in time! Is it possible? Against the world-wide and incredibly powerful Teutonic Kinghts? Wow, wow, wow! What a great thrill ride this book was! There's a car chase in Manhattan, a narrow escape from an exploding apartment in Moscow, a speedboat chase in Vienna and a pulse-pounding finale in an abandoned fortress. Do you guys want mystery? It's here--what's the background on Galina Krausse? Why does she seem to have vivid memories of Copernicus? Why does she have such a strong reaction to the name "Rubashov?" What is it about creepy Bartolo Cassa that "is simply not quite right"? Do you want humor? It's here--just listen to Dr. Rosemary Billinng...ham talk! In other words, boys---CHECK THIS BOOK OUT! And if you haven't started the series, go get The Forbidden Stone (see my review) and READ THESE FANTASTIC BOOKS!! 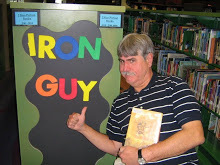 This gets the Iron Guy Seal of Approval as One REALLY Terrific Book!